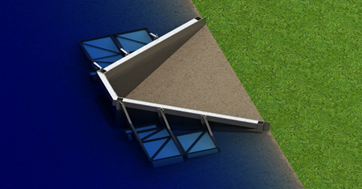 A developer of a very large subdivision desired to construct boat docks on a shallow lake and engaged Clark Engineers to design a floating cofferdam that could be towed to each location, then sunk in place and the water pumped out to facilitate ease of construction. 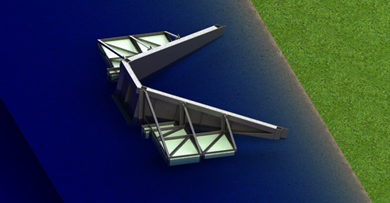 The critical aspect of the design was to ensure that the cofferdam floated properly. This required accurate calculation of center of buoyancy and center of ballast. Also, anchor piles were designed to be installed at each corner that were removed after the boat dock was completed.